A combination heavy-duty fire rake and hoe for clearing a fire line in matted leaves and loose ground debris﻿. This is the primary universal fire tool for the temperate forests. This is a multi-angled shovel. 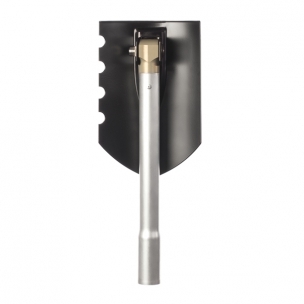 It is an improved entrenching tool. 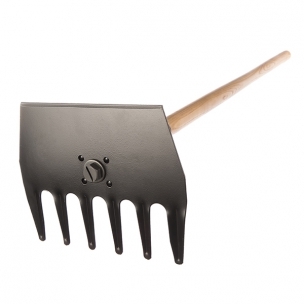 There is a large spring-loaded locking bolt that secures the shovel in its chosen position﻿.